You may experience issues like a Check Point installation not being responsive (processes not started, etc.) and your dmesg, messages, $FWDIR/log/fwd.elg and fwm.elg may be filled with all sorts of error messages indicating the lack of files or not being able to create files. In general it behaves in such a way you’ll think “I bloody well hope I did backup the system recently”. Underneath you’ll find some of the errors I got when experiencing this problem. The /var-partition has entered a read-only state and had to be subjected to a manual file system check (fsck) in single user mode before allowing it to be set to read-write. CPPRODIS_init_error_logging_ex: failed to set cyclic log file for product ‘cpshared’ application ‘PostgreSQLCmd’ file ‘/opt/CPshrd-R75.20/log/postgresqlcmd.elg’. bp_init: FATAL: Module bpctl_mod not found. 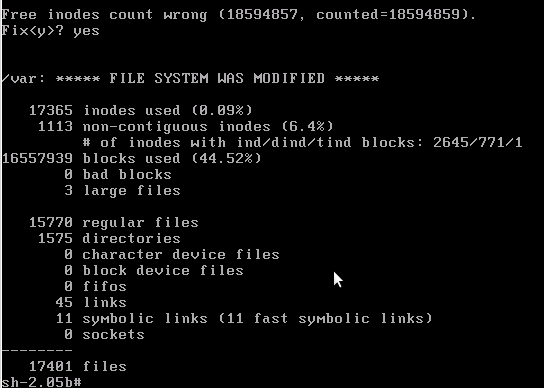 From what I have gathered, any linux installation will set its file system in a read-only mode if there is some indication of hard drive malfunction or some issues with regards to SAN-configuration. 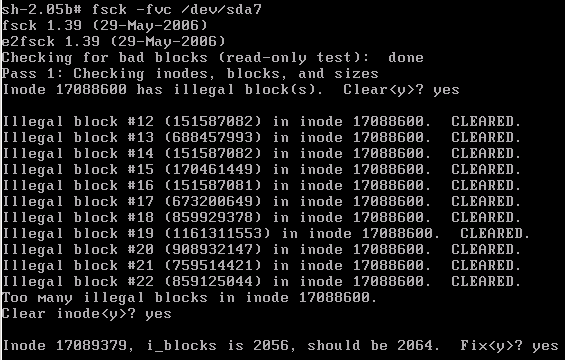 It supposedly does this in order to prevent data corruption, which is neat I am sure. In this particular situation it seems there is some degree of corruption already, so the file system is re-mounted in read-only. One solution is to re-mount the /var partition as a read-write-enabled partition using one of the following commands, but it did not sort out my issue as it returned an error. In order to resolve this issue, I ran fsck in maintenance mode, which resolved the issues and allowed the /var-partition to be mounted rw. The time it takes to complete depends on your partition size, but for my 60-70GB it took approximately 30-45minutes. Allowing the utility to fix the issue seemed like a good idea. 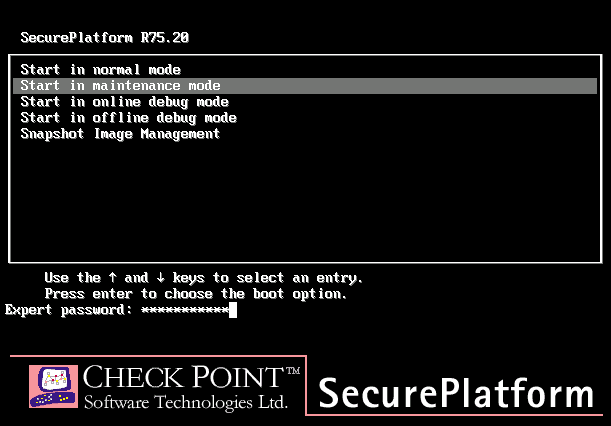 Note – there is a switch in fsck which allows it to fix any problems without prompting for your confirmation. Once the utility has been allowed to sort out the issue it found it presents a summary of your file system. At this point I rebooted the machine and everything was sorted. Thx dude ! You save my coffee time !